As you can imagine we have tons of pink around this house! My 5 yr old and 2 yr old share a room and it is painted an incredibly bright fushia color! When I first painted it I remember this glow that came out from under the closed door. It was bright! You would have thought aliens lived in there or something! Along with pink, we have everything Princess, Barbies, Dora, Polly Pocket, Strawberry Shortcake…you name it. We also have lots of dress-up clothes. Pretty much everyday we have some sort of dress-up party. My 5 yr old is always wearing jewelry or sunglasses or pretties in her hair. 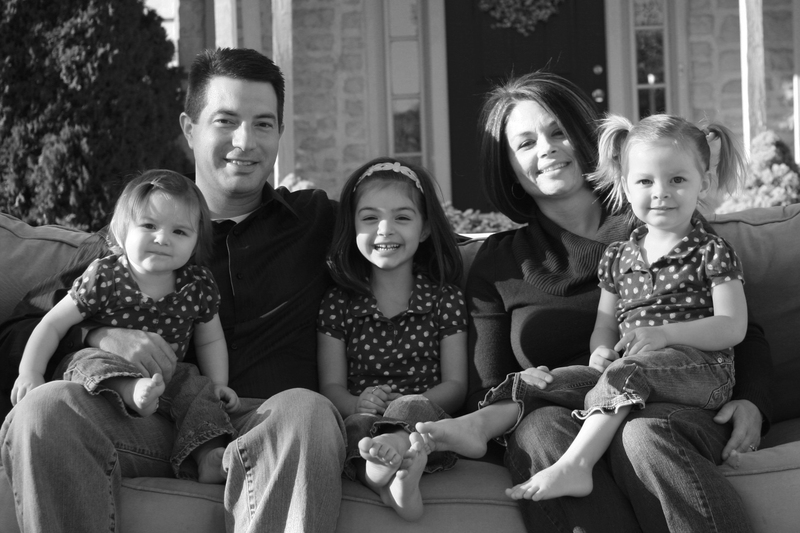 I grew up with 2 older brothers so I was a bit of a tomboy (I did love my Barbies though). I’m glad that my girls have each other and that they get into the girly stuff. 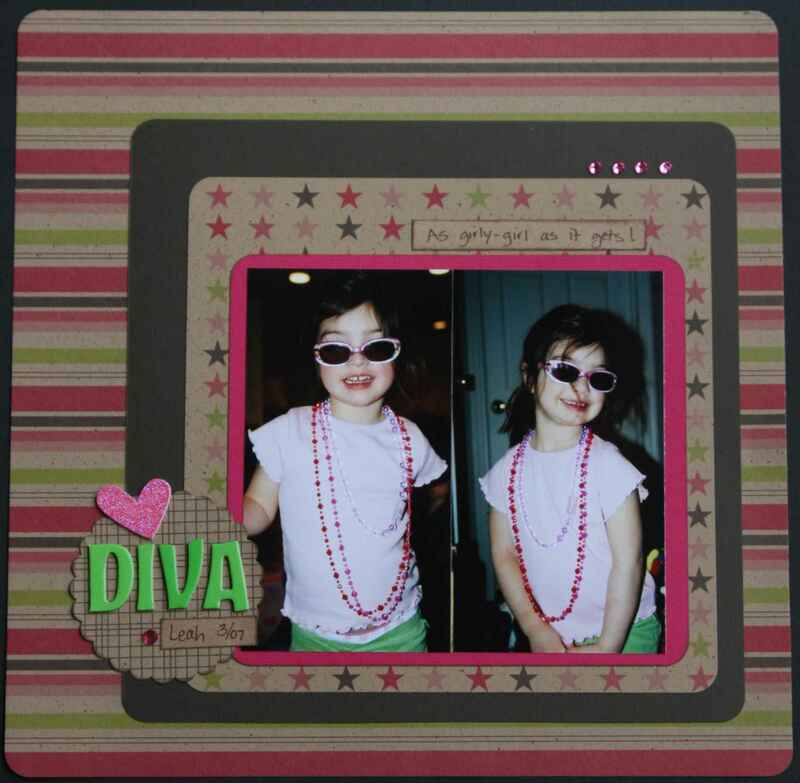 Here’s a layout titled “DIVA”…this is just one glimpse at being “girly”. I love how her underwear is sticking out of her pants – and that pose.